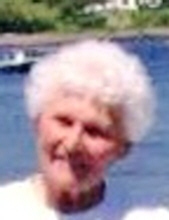 PORTLAND – Mrs. Vivian Hanmer, 80, died Monday February 4, 2019 at the Maine Medical Center in Portland. She resided in Sangerville, ME and was formerly of Rumford. Born in Vergennes, VT on September 7, 1938 she was a daughter of Earl and Edna (Barber) Miles. She attended Stephens High School in Rumford. Vivian worked as a Nurse’s Aide and also as a Transportation Coordinator for Reddington Homes Inc.
Vivian was married in Mexico, Maine on October 26, 1957 to Douglass Hanmer who survives of Sangerville, ME. Other survivors include a son, Rick and his wife Tammy of Freeport; a daughter Cynthia Chapdelaine of Dexter; a sister, Ann Gordon of Turner; 5 grandchildren, 13 great grandchildren. She was predeceased by three brothers, Elmer and Herbert Miles and Robert Barber. Friends and relatives are invited to sign the online register book and share memories with the family at www.meaderandson.com. Funeral services will be held 2 PM Sunday February 10, 2019 at the Meader & Son Funeral Home 3 Franklin St Rumford, ME. Interment in the spring will be in the Greenwood Cemetery in Dixfield, ME. Friends are invited to call at the funeral home on Sunday from 12 – 2 PM prior to the funeral. To plant a tree in memory of Vivian Hanmer, please visit our Tribute Store. "Email Address" would like to share the life celebration of Vivian Hanmer. Click on the "link" to go to share a favorite memory or leave a condolence message for the family.